Embrace the beautiful game and hone your creativity with this adidas Tango Street Allround Training Football in Clear Brown and Hire Red. This adidas football comes hand stitched for a high durability and a good touch in all weather conditions. Featuring a durable latex bladder, the surface of the ball is made up from 100% TPU. 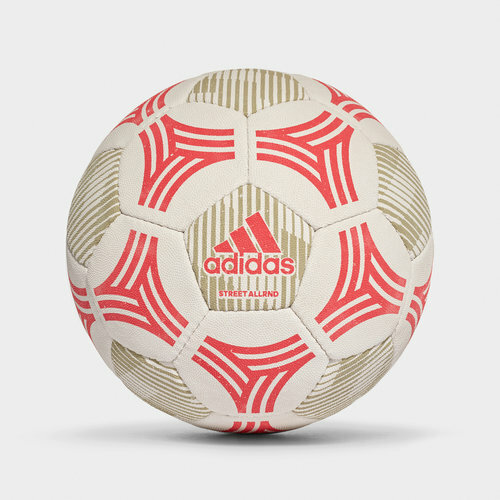 With the adidas logo and mystery petrol graphics printed on the ball, you can be assured of quality with this adidas Tango Street Allround Training Football.